As a pioneer in the formulation and manufacturing of safe and high-quality screen printing supplies, Speedball proudly provides screen printers of all ages and skill levels all that’s needed to explore their creative processes. 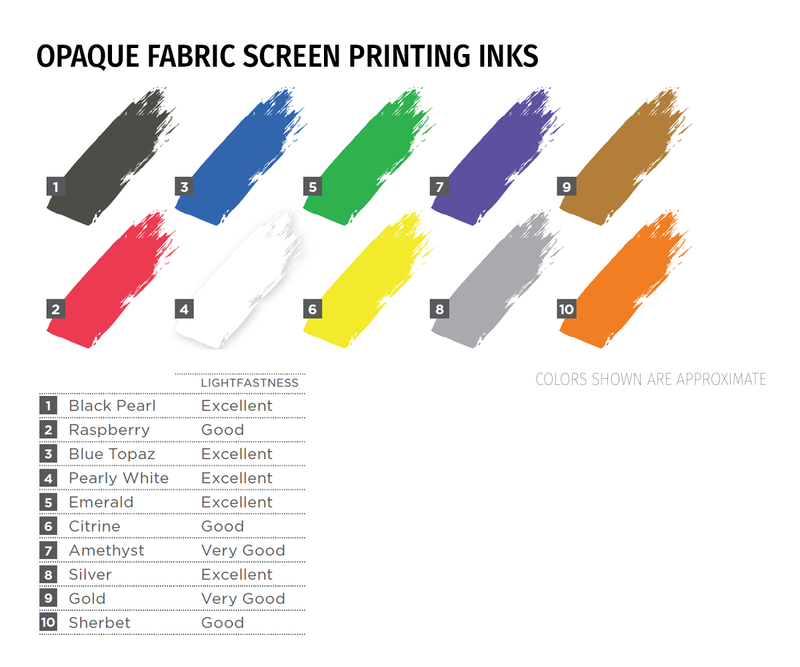 For best results when printing on dark fabric, Speedball Opaque Fabric Screen Printing Inks are recommended for vibrancy in color and opacity in coverage. Want to learn more about using Speedball Fabric Screen Printing Inks to create your work of art? 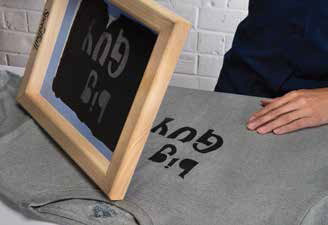 Select from the links below to see view step-by-step instructional videos on a range of screen printing methods. Looking to modify your Speedball Fabric Screen Printing Ink? See the product listings below to determine the best fit for your project’s needs. 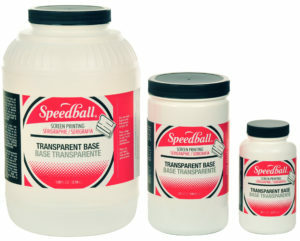 Speedball Fabric & Acrylic Transparent Base: For use with both Speedball’s Fabric and Opaque Fabric Screen Printing Inks, Speedball Fabric & Acrylic Transparent Base is formulated to create a more transparent color. Only 10-15% mixture is recommended for use with Speedball’s Fabric and Opaque Fabric Screen Printing Inks. 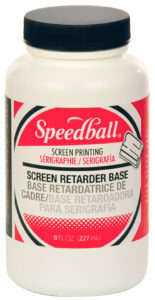 Speedball Fabric & Acrylic Screen Retarder Base: For use with both Speedball’s Fabric and Opaque Fabric Screen Printing Inks, Speedball Fabric & Acrylic Screen Retarder Base is formulated to slow the ink’s drying time. On what fabrics can I print using Speedball’s Fabric Screen Printing Inks? Fabrics that do not possess a large amount of stretch are best for use with Speedball’s Fabric Screen Printing Inks. Cotton, Linen, Broadcloth, Denim & Canvas are examples of ideal fabrics for use. 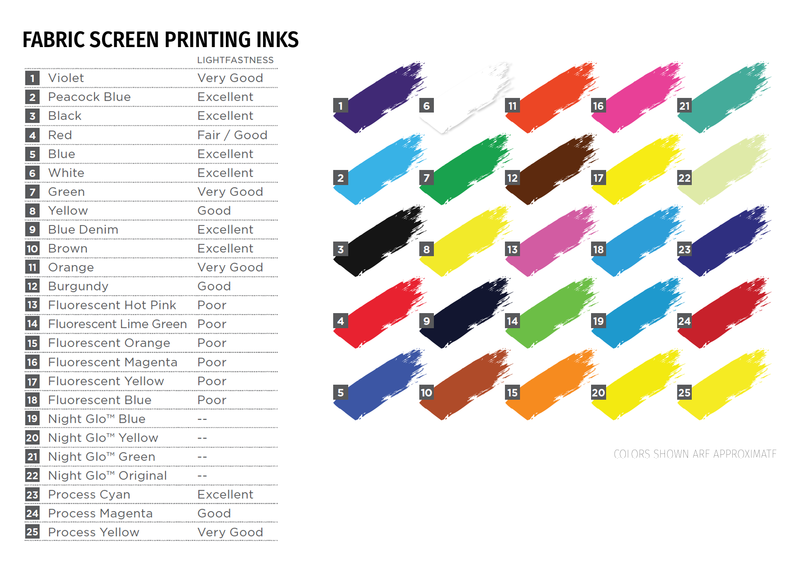 Nylon is not recommended for use with Speedball’s Fabric Screen Printing Inks. Can I print on anything other than fabric using Speedball’s Fabric Screen Printing Inks? Yes! In addition to fabric, Speedball’s Fabric Screen Printing Inks print well on paper and cardboard. Are Speedball’s Fabric Screen Printing Inks permanent on fabrics after printing? After being properly heat set, Speedball’s Fabric Screen Printing Inks will remain permanent on fabrics after printing. To heat set, use iron as directed on product packaging. Use of dryers, even commercial dryers, is not recommended as settings do not consistently reach temperatures high enough to properly heat set the inks on the fabric. What do I need to use for cleanup after printing with Speedball Fabric Screen Printing Inks? Speedball Fabric Screen Printing Inks clean up easily with soap and water.